I still love wearing my ball skirt I got from Anthropologie during the holidays. I would have fun styling it different untraditional ways. to a casual date night feel. Utterly stunning, I never look at their site but I will now. 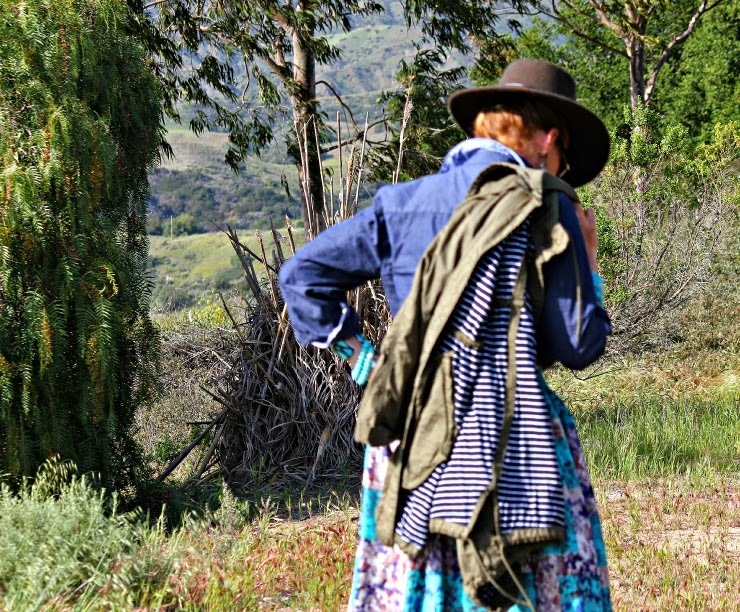 Of course, no one could style it like you T.
Thank you ever so much dearest Tabitha! Marianne … thank you vey much! BALL SKIRT............how I love THAT DESCRIPTION!I have never been much of BLUE person but you are starting to change that for me!Fourth photo down...........LOVE.The bag TARGET?I almost bought the other day but in ORANGE I believe.I love ANTHRO TOO!I feel I am too old for most of their clothing but I do find occasionally a GEM or TWO!Adore their displays.............can remember standing outside ANTHROPOLOGIE in SAN FRANCISCO with tears scooting down my checks........it was CHRISTMAS time and the windows were so simple but so powerful........CHICKEN WIRE BALL SKIRTS with only a sweater.Hand cut snowflakes out of white paper........It was GORGEOUS.AS YOU ARE ..................what is that babble on your finger that is speaking to me BIG TIME through the computer screen? ?Don't tell me as I will COPY AGAIN!!!! Tell that husband of YOURS BRAVO................he captures everything BEAUTIFULLY! So lovely. 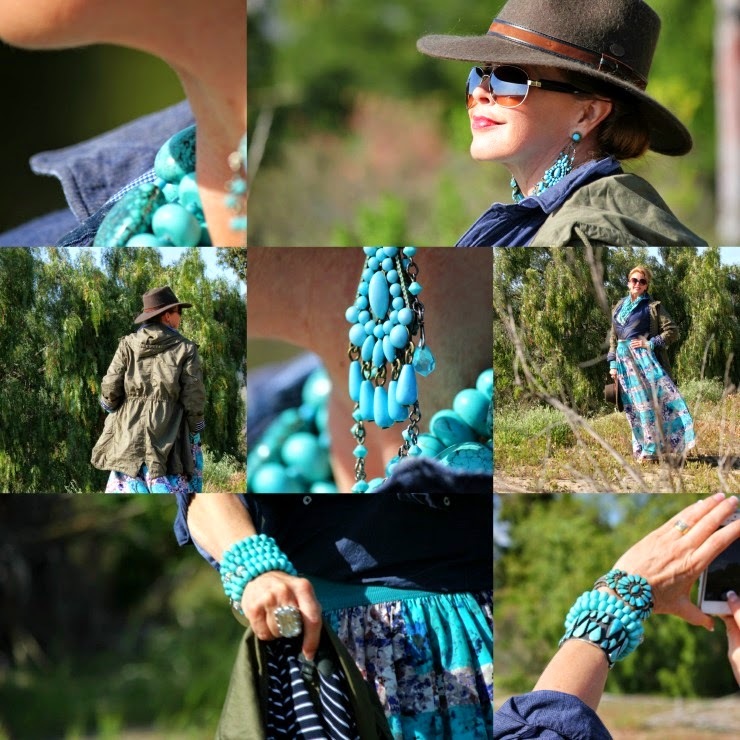 I adore long skirts, denim shirts or jackets and turqoise! This is one amazing look! I bet every head turned and asked "Who is that movie star?" when you walked in! Striking in every good way! Stunning! Seriously, everything about this ensemble, setting, and detail is stunning. I love how you took this 'Ball skirt' and grounded it. In fact, I think I prefer it grounded. I agree, I bet every head turns and wonders who the movie star is that just entered. I can't believe how versatile you are making that anorak. I was wondering what the other hat was that you purchased, great find, it looks amazing on you. I'm heading to the website right now. Tell Jeff, he is becoming quite the photographer. Beautiful mix of color. patterns and texture….gorgeous! The colors and the styling are so much fun! Love this, Tamera! 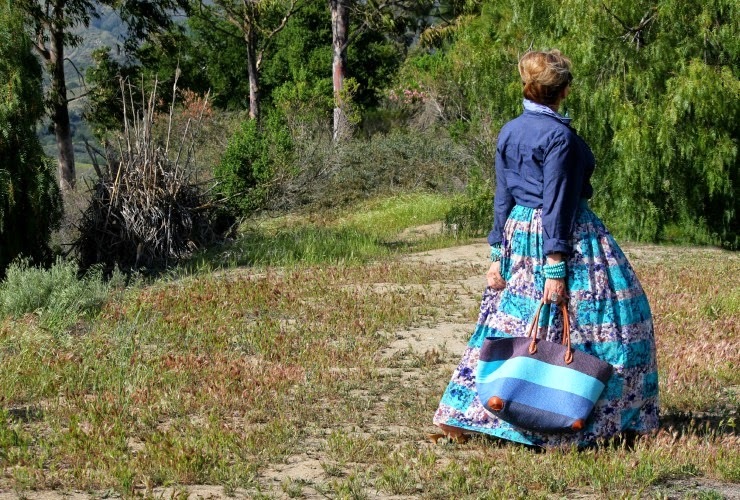 Your ball skirt is divine; I love the length and the abundance of glorious fabric. I'm always inspired by the unique compositions that you create, enhanced by jewelry of your own design. It's always a pleasure to visit you and your enchanting site. 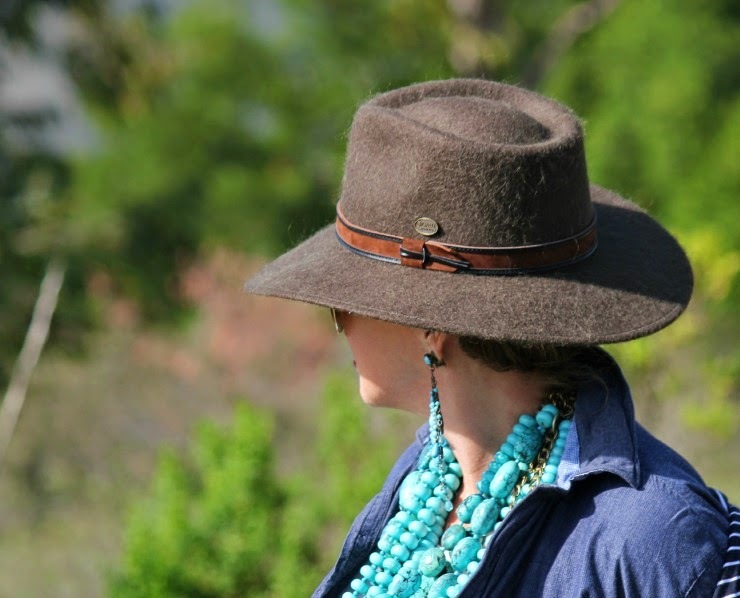 I knew you would do something fabulously "Tamera" with that alpaca wool hat from Montecristi Panama Hats! I love it on you and it looks so chic with your ball gown. Well done! I bet Carolina and Mercedes from the hat shop are thrilled! 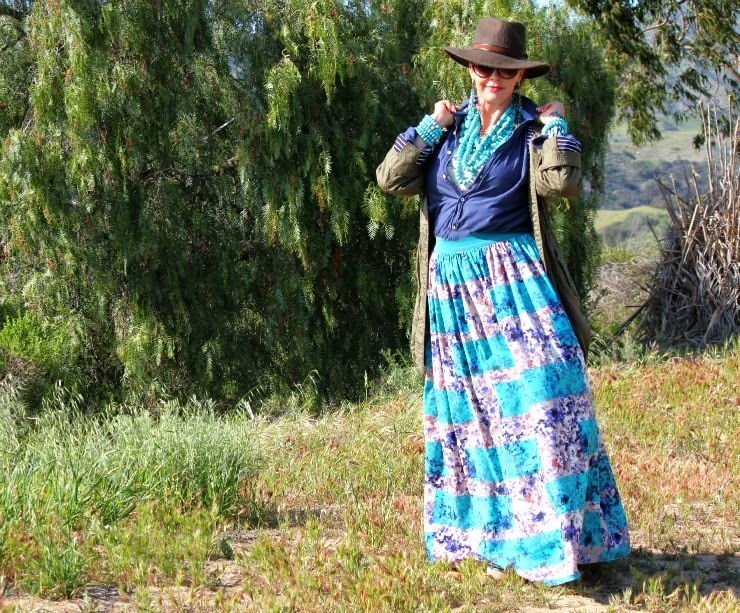 I totally love all of the color and pattern in this outfit! !